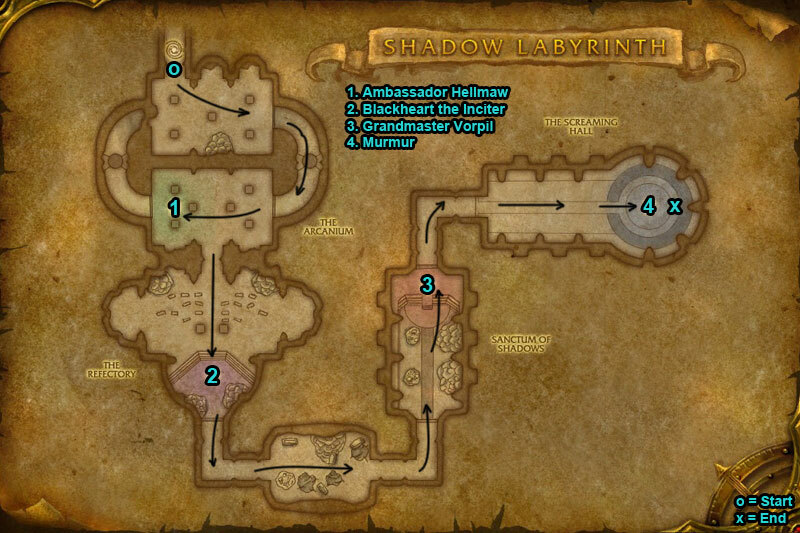 You can find the Shadow Labyrinth dungeon within Terokkar Forest, Outland. Make your way to Auchindoun and go into the Ring of Observance. Here you will see loads of doorways. 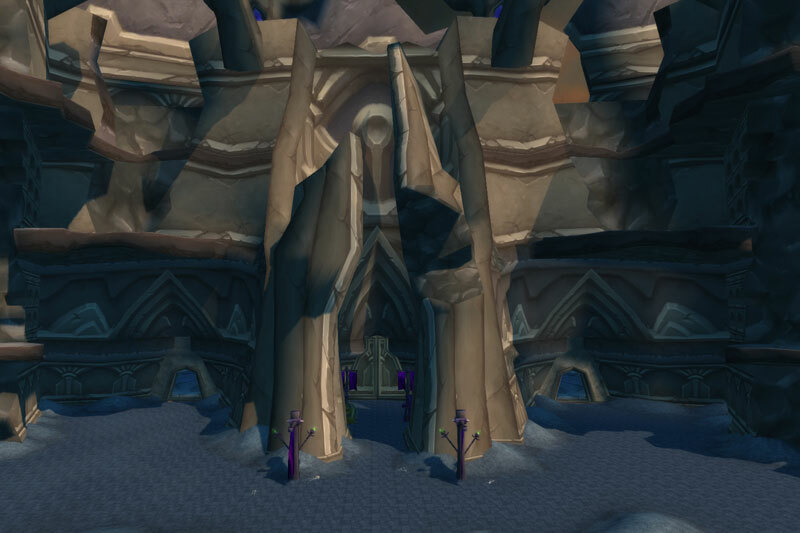 The Shadow Labyrinth entrance is this doorway. /i Causes players to flee in fear. Corrosive Acid hits all players in front inflicting nature damage & reducing armor. /i Incite Chaos forces players to attack each other for 30 sec. War Stomp causes players to take damage & be knocked back. Charges at a player inflicting damage & stunning. /i Teleports players to his platform & casts Rain of Fire, run away. Kill Void Travelers, if reach boss they explode causing wide damage & heal boss. Heroic Differences: Banish stops a player from doing anything for 8 sec. /i Sonic Boom hits players & reduces movement speed. Pulls all forward with Magnetic Pull. Stay away from player with Murmur’s Touch. 1 player must stay within melee range of boss otherwise Resonance deals heavy damage to all. 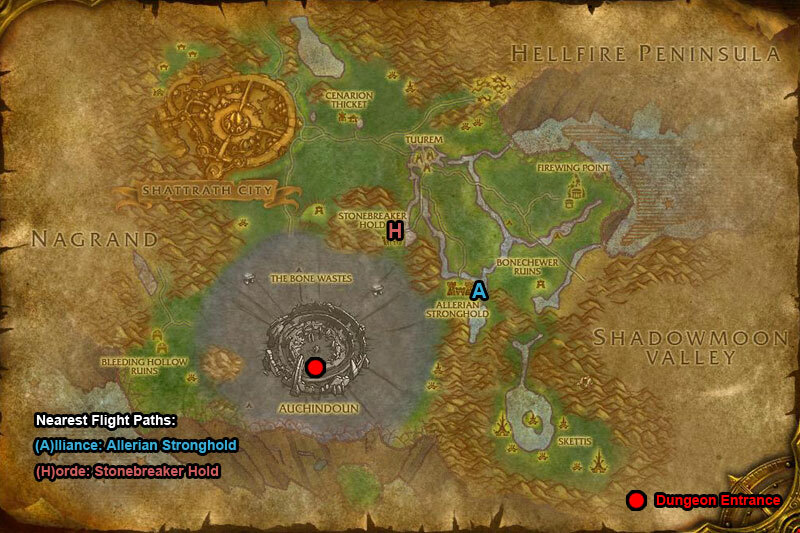 Heroic Differences: No Magnetic Pull in heroic. Sonic Shock deals arcane damage to current target. Thundering Storm throws bolts at any players further than 25 yards dealing nature damage.